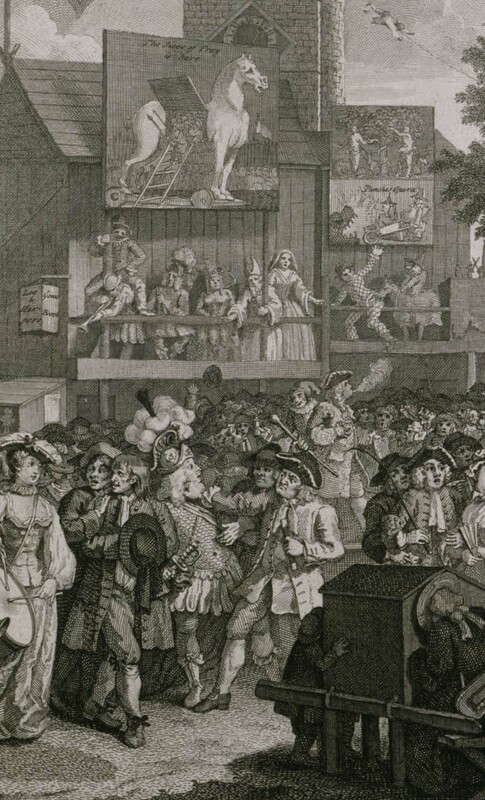 Gallery Home › Theatres, Processions and street theatre › William Hogarth, Southwark Fair. This 1733 engraving from a drawing by Hogarth shows a number of theatrical events in progress, including a puppet show and a play about the Trojan War. Courtesy Yale Center for British Art, Yale Art Gallery Collection, gift of Mrs. Lyall Dean, Mrs. Borden Helmer and the estate of Bliss Reed Crocker, in memory of Mr. and Mrs. Edward Bliss Read.